A report in the Indian media on June 22 this year quoting sources in the Indian government stated that the Government of the United States (US) had cleared the sale of 22 Guardian Unmanned Aircraft System (UAS) to India. It was reported that the decision was communicated to the Indian government and the original equipment manufacturer (OEM) by the State Department. The deal, the value of which is estimated to be more than $2 billion, is yet to be cleared by the US Congress. However, even the initial the approval from the executive branch is seen as a big boost to defence ties between the two countries. 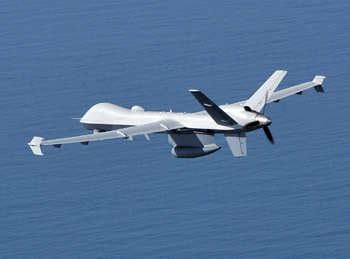 The Guardian UAS manufactured by General Atomics Aeronautical Systems of the US is the naval variant of the Predator B drone which is now known more appropriately by the name MQ-9 Reaper. This is a long-endurance, high-altitude platform that can be employed in armed patrol role. It was the first hunter-killer Unmanned Aerial Vehicle (UAV) that was employed operationally by the US Air Force for the first time as early as in March 2007. This unmanned platform has also been in service with the armed forces of Australia, Britain, Netherlands and Italy. In comparison with its predecessor, the MQ-1 Predator, the MQ-9 Reaper is larger and more powerful as it is equipped by a 900 horsepower Honeywell TPE 331-10 turboprop engine, as against the 119 horsepower engine on the MQ-1 Predator. Also MQ-9 Reaper is capable of flying at an altitude of up to 50,000 feet and can fly at nearly three times the cruise speed of the MQ-1 Predator. The engine of the Guardian UAS is integrated with Digital Electronic Engine Control (DEEC) that enhances the performance of the power plant and provides it the capability to prevent wasteful consumption of fuel when operating at lower altitudes. In 2016, the Indian Navy had projected a requirement of unarmed aerial platforms for intelligence, surveillance and reconnaissance (ISR) missions in the Indian ocean region. 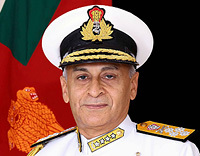 The need to enhance surveillance capability of the Indian Navy continues to become more and more urgent as the People's Liberation Army Navy (PLAN) of China is enhancing patrolling by its surface ships as also by submarines lurking in the Indian ocean region. China is also expanding its maritime trade routes the security imperatives of which will only necessitate enhanced presence of the ships and submarines of the Chinese Navy. Also, the fact that China is becoming increasingly aggressive in the South China Sea, is another matter of serious concern for the service. The Indian Navy currently operates eight of the Boeing P8I maritime patrol aircraft and action is in hand to enhance the size of the P8I fleet by induction four additional platforms that are scheduled to be delivered in 2020. But induction of the Guardian UAS will enhance significantly the surveillance capability of the Indian Navy as the Guardian UAS does not suffer from the limitations of manned platforms in respect of endurance. The Guardian UAS can remain airborne for 34 hours which is several times more than the capability of the P8I to remain on station for four hours. It is understood that with some modifications, the endurance of the Guardian UAS is to be enhanced to 42 hours. Thus to protect India's coastline of 7500 km as also to keep watch over the Indian Ocean, the Guardian is perhaps the most appropriate and capable platform available. In June 2016, India had projected the requirement of 22 Guardian (Predator B) UAS. If the deal does finally go through, it would be the first such purchase by a country that is not a member of the NATO alliance. 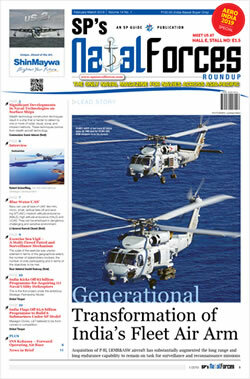 By 2014, India had become the second largest country in the world to procure defence equipment from the US. In a bipolar world, India had remained tethered to the erstwhile Soviet Union for weapon systems and military aerial platforms. However, with the emergence of a uni-polar world, the US dislodged Russia as the top arms supplier to India. The move by India to acquire unmanned platforms from the US for its armed forces was initiated in 2015. However, it was only after India became a member of the Missile Technology Control Regime (MTCR) at the end of June the following year with full support of the US that the impediments in the way of India aspiring for such weapon systems as also transfer of modern defence technology from the Western superpower were out of the way. THIS ANNOUNCEMENT IS AN INDICATION THAT COMPARED TO OBAMA ADMINISTRATION, THE TRUMP ADMINISTRATION IS LIKELY TO BE MORE POSITIVE IN ITS RELATIONSHIP WITH INDIA. In fact, India had already projected a requirement of around 100 armed Predator C Avenger unmanned aircraft for the Indian Air Force (IAF). The Predator C Avenger unmanned aircraft have been employed by the US armed forces to carry out strikes against militants in the North Western regions of Pakistan as also in neighbouring Afghanistan with notable success. These platforms that were being sought by the IAF would give the service the capability to carry out cross-border strike operations or even destroy targets located in depth in enemy territory without risking lives of pilots. Defence and security analysts were of the view that when compared to fixed-wing combat platforms, attack against ground targets by Unmanned Combat Aerial Vehicles (UCAV) such as the Predator C Avenger, would, in all probability, provide lower risk of escalation of conflict. Unfortunately, response of the Obama administration to the request by India for the 100 odd Predator C Avenger unmanned aircraft was not encouraging. There appears to be some lingering concerns in the US establishment even now that if India were to get the Guardian surveillance drones, she would reactivate the plan to acquire UCAVs from the US. The primary impediment appears to be legal in nature as export laws in the US prohibit the transfer of such weapon systems to a country not engaged in operations alongside the US forces. This impediment may be taken care of in the event that the Trump administration seeks the presence of Indian forces in Afghanistan to fight the pro-Pakistan rebels along with the US forces and the Indian government acquiesces to the US request. 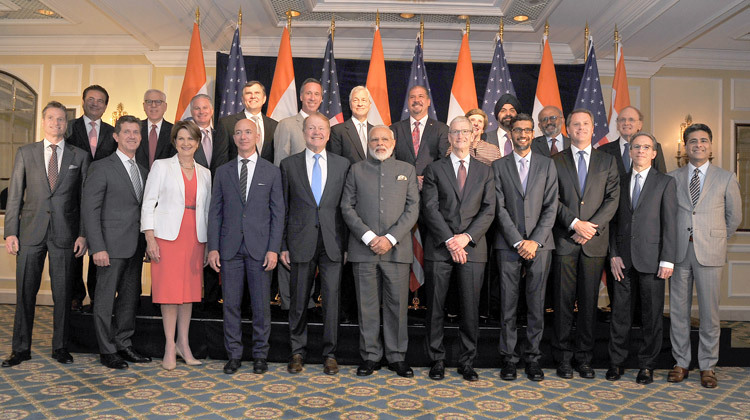 It is interesting to note that the announcement on the sale of the Guardian UAS came on the eve of the state visit to the US by Prime Minister Narendra Modi and his meeting with the Donald Trump, President of the US. This announcement is being regarded as an indication that compared to Obama administration, the Trump administration is likely to be more positive in its relationship with India. Also, this development has been described as a "game changer" for relations between Indian and the US as it serves to ratify the status of India as a "major defence partner". This status was accorded to India by the Obama administration and was formally approved by the US Congress. 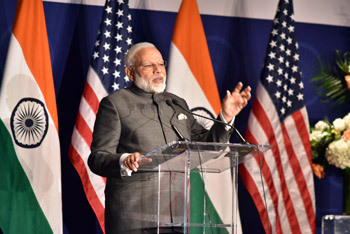 Prime Minister Narendra Modi is expected to interact with President Donald Trump on a wide range of issues the major ones being deeper bilateral engagement between the largest and the oldest democracy in the world, consolidation of strategic partnership between US and India, regional security issues that are likely to be dominated by the menace of terrorism, H-1B Visa, Make in India vs 'America First' policy of the Trump administration, energy issues and defence cooperation. 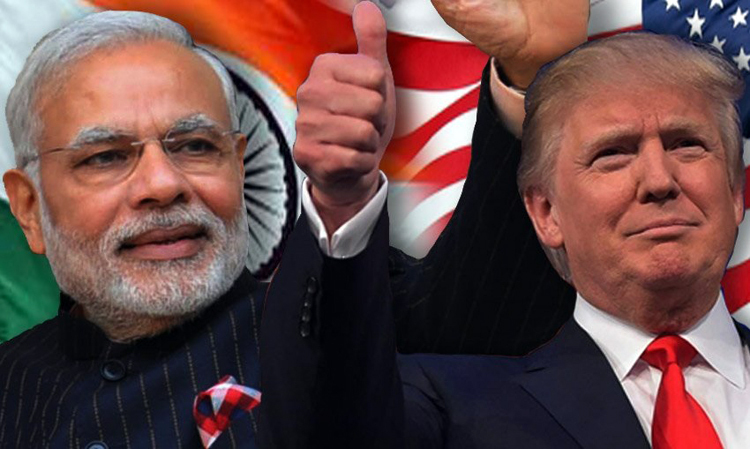 There is considerable optimism in India that the meeting between Prime Minister Narendra Modi and President Donald Trump will usher in a new dawn in the relationship between India and the US, propelling it to a new level.